The body positivity movement has come a very long way in recent years. But amidst all these wonderful words of #bodyposi encouragement and pictures of unfiltered stretch marks, there are still stories of women starving themselves to look like Victoria Secret models. And it's the fashion industry and Hollywood that are continuing to perpetuate this myth of perfection every day. Even though we all know that these beauty ideals are mostly unattainable, there's so much of it shoved in our faces that so many of us are still left wondering why we don't look like the women in the movies. While actresses and models might be a key part of this myth of perfection, this doesn't mean that they support the way these industries are presenting their bodies. Many of them might actually be struggling beneath the weight of expectation too. 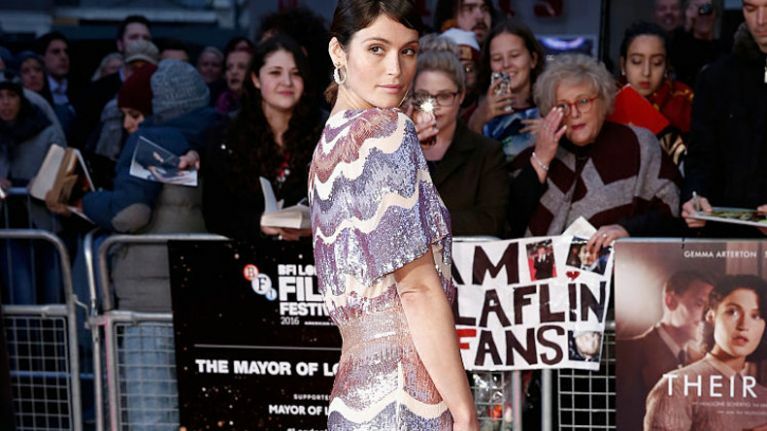 Actress and producer Gemma Arterton has recently spoken out about the "traumatic" experience she had on the set of one film, where producers went so far as to fly a personal trainer out to the set of the movie to ensure that she lost weight. On podcast The Guilty Feminist, Arterton told of how she was filmed in the gym while working on the film. And then they’d get me in the gym and film me in the gym and they’d have to know that I was there." The Quantum of Solace star also said that when she reached to grab some dried apricots from the set buffet, a producer said" "I hope you're not going to eat that." Arterton, of course, is not the only female celebrity to speak out about this kind of treatment. The likes of Sarah Jessica Parker, Jennifer Lopez, and Amy Schumer have all been told to lose weight by movie producers for one reason or another. Schumer was told that weighing over 140 pounds on screen would "hurt people's eyes." Lopez's former manager criticised the actress and singer for "having a little extra meat" on her. She fired him shortly after. There's an argument to be made that some movies do require actresses to change their bodies for the role, but there's a difference between necessity for art's sake, and the straight-up desire for a skinny female lead. In 2012, a New York Times film critic reviewing The Hunger Games wrote that a few years ago, Jennifer Lawrence "might have looked hungry enough to play Katniss, but now, at 21, her seductive, womanly figure makes a bad fit." Lawrence was also asked to lose weight (10 pounds) for the movie, but she respectfully declined. Katniss Evergreen might be from the impoverished District 12 where inhabitants catch wild game for lunch and everyone's pretty much struggling to stay alive, but it's highly unlikely that many people complained about Josh Hutcherson or Liam Hemsworth not looking "hungry enough" for the film. 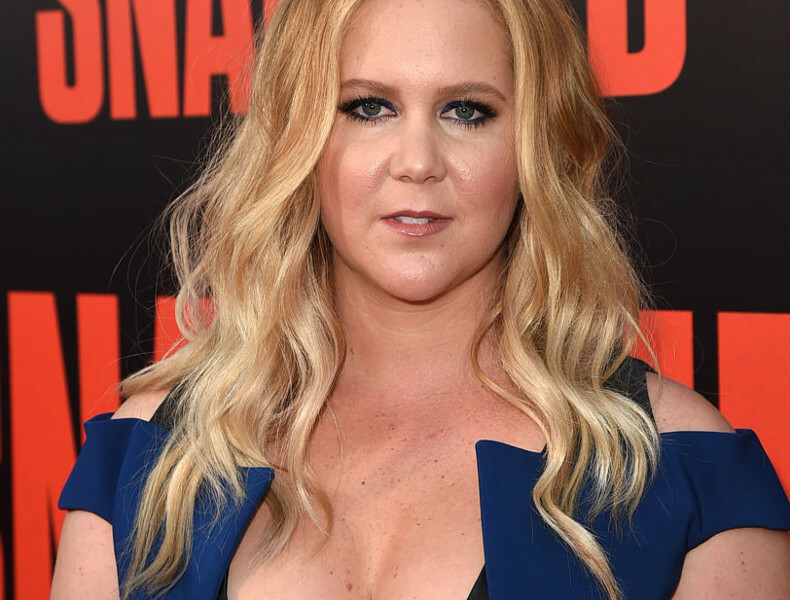 The likes of Amy Schumer have said that they will never lose weight for a role again, but unfortunately saying no seems to be a privilege reserved for actresses who have already broken into the industry. As Gemma Arterton said in 2010: "Unless you’re really famous and successful, then they’re going to bully you into going to the gym." Arterton is not the first actress to speak out about this issue, and she probably won't be the last. We'll continue to hear stories about how Emilia Clarke was banned from eating "anything good at all" to prepare for a role and we'll continue to convince ourselves that going on mad diets is the only way to lose weight. We'll continue to convince ourselves that we need to lose weight at all. Encouraging women in the public eye to look a certain way (skinny), and forcing them to go to the gym to have a certain body shape (slim) not only affects them, but everyone else who watches their movies too. The body positivity movement has come a long way over the past few years. It's genuinely encouraging to see clothing companies refusing to photoshop their model's stretch marks, and women with average body shapes being represented in popular culture. But when actresses are being filmed in the gym and forbidden from eating dried apricots, it's clear we've still got a long way to go.